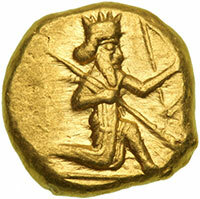 The Persian shah, Xerxes, from the 400s BC. King Xerxes was killed in 465 BC. His assassin may have been his son Ardashir I (Artaxerxes in Greek), who succeeded him. Ardashir was a weak king, and a lot of the conquered countries revolted while Ardashir was king. By this time, the rest of West Asia also had cavalry units. So Ardashir’s army didn’t have such a big advantage. It took Ardashir a long time to reconquer his provinces. Egypt also revolted, with the help of Athenian mercenaries. It took years of fighting before the Persians got control again about 455 BC. The island of Cyprus revolted, again with the help of the Athenian navy. This time the Athenians won their battle, but the treaty between Cyprus and Persia ended up being a good deal for the Persians. Ardashir did stay on good terms with the Jews, by letting them practice their religion, as Ezra and Nehemiah say in the Bible. Ardashir died in 425 BC. 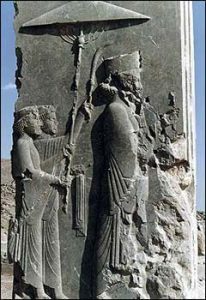 After Ardashir died, his son Darius II became King of Persia. He was the son of a woman Ardashir wasn’t married to, and some people held this against him. Like his father, Darius II was a weak king. So Darius, too, spent most of his time trying to control revolts. There were revolts in Syria, Lydia, and Media (modern Iran). Egypt revolted again in 410 BC, and this time succeeded in breaking free of Persian control. However, as Greece got weaker during the Peloponnesian War, Darius II did manage to get more influence there. When Darius II died in 404 BC (just as the Peloponnesian War was ending), his son Ardashir II became King of Persia. But his younger brother, Cyrus, also wanted to be king. Only a few years later, Cyrus got together a bunch of Greek mercenaries (under the general Xenophon) and tried to kill Ardashir and make himself king. When the troops met in battle, Cyrus’ troops (the Greek ones) won, but Cyrus himself was killed in the battle, so Ardashir II went on being king anyway. Ardashir II, king of Persia. There’s a Zoroastrian fire altar on the “tails” side of this coin. Ardashir II was another weak king like his father and grandfather, and never had much power himself. His wife and his mother, with his advisors, made most of the decisions. When Ardashir II died in 358 BC, his son Ardashir III killed off most of his brother’s family in order to become the King of Persia. Ardashir III was a stronger king than his ancestors had been, and managed to reconquer Egypt in 342 BC. In other places, too, he stopped revolts and made Persia more powerful. The Silk Road began to make the Persians richer as they traded silver and glass east to the Sogdians and got back horses and Chinese silk. But Ardashir III was poisoned by one of his advisors, Bagoas, in 338 BC. Bagoas put Ardashir III’s son Arses on the throne, because Arses was a child and Bagoas figured he could tell Arses what to do. But when Arses began to grow up, Bagoas poisoned him, too, and in 336 Bagoas made Arses’ cousin Darius III the King of Persia. He is probably the Darius mentioned in the Bible (Nehemiah 12.22). Bagoas put him on the throne thinking he would be easy to push around. 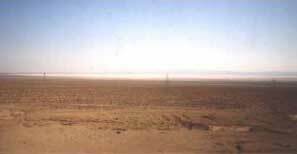 This is the desert where Darius III was killed. Darius had a reputation for not being very ambitious. But then Darius fooled him – he murdered Bagoas. But having been picked because he was weak, Darius III did not make a very good king. When Alexander the Great invaded Persia, Darius was defeated in the battle of Issus (333 B.C.) and again in the battle of Gaugamela near Arbela (331 B.C.). In the end, one of Darius III’s satraps, Bessus, killed him in Bactria (modern Afghanistan), and Alexander took over the Persian Empire. Cite this page: Carr, K.E. 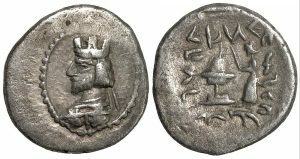 From Xerxes to Alexander – the later Persian Empire. Quatr.us Study Guides, September 14, 2017. Web. April 23, 2019.